This second volume covers around 41 topics from De-Ma, including: Dentistry & Teeth, Diseases & Plagues, Drama & Theaters, Dreams, Education, Food Production, Games & Gambling, Harbors, Heating & Lighting, Insects & Bees, Jewelry, Kisses & Embraces, Laws & Crimes, Literacy, Marriage, and many more. A 2003 LOGOS Book Award Winner! An ECPA 2003 Gold Medallion Finalist! The first five books of the Old Testament lay the foundation on which the rest of Scripture stands. Its great themes, epochal events and towering figures set down vectors on which the biblical story is played out. The very shape of the rest of the Old Testament would collapse were the Penteteuch to be removed. The structure of New Testament thought would be barely intelligible without it. Here we meet the great ancestral figures of Israel--Abraham, Isaac and Jacob--and the towering figure of Moses, whose presence dominates four of these five books. 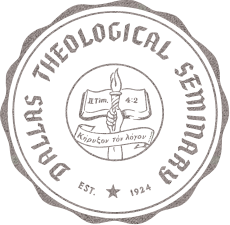 The creative act of God, the paradisal garden, the exile of Adam and Eve, the judgment of the great flood, the call of Abraham from among the nations, the covenant of Abraham, the exodus from Egypt, the giving of the law at Sinai, the plan of the tabernacle, the varied experiences of Israel in the wilderness, and the announcement of the covenant blessings and curses--all of these and more contribute to a work of world-formative power. This dictionary explores the major themes and contours of the Pentateuch. Behind and beneath the grandeur of the Pentateuch, issues of historicity have both puzzled and beckoned. But whereas in the mid-twentieth century many English-speaking scholars were confident of archaeological support for the patriarchal accounts, the climate has now changed. In the most extreme cases, some contemporary scholars have radically challenged the antiquity of the ancestral stories, arguing for their final composition even as late as the Hellenistic era. This dictionary examines and weighs the historical issues and poses possible solutions. The documentary hypothesis, the former reigning critical consensus, is now widely rumored to be on life support with no heir apparent. Meanwhile, conservative scholars reconsider what indeed a claim to Mosaic authorship should entail. This dictionary offers an assessment of the array of questions surrounding these issues and considers some possible ways forward for evangelical scholarship. At the same time, there has been a fruitful turning to the nature, message and art of the received text of the Pentateuch. Literary studies of brief episodes, sprawling sagas, complex narrative and even the fivefold composition of the Pentateuch itself have delivered promising and exciting results. This dictionary offers both appreciative panoramas and close-up assessments of these developments and their methods. 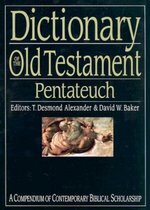 TheDictionary of the Old Testament: Pentateuch is the first in a four-volume series covering the text of the Old Testament. Following in the tradition of the four award-winning IVP dictionaries focused on the New Testament and its background, this encyclopedic work is characterized by close attention to the text of the Old Testament and the ongoing conversation of contemporary scholarship. In exploring the major themes and issues of the Pentateuch, editors T. Desmond Alexander and David W.Baker, with an international and expert group of scholars, inform and challenge through authoritative overviews, detailed examinations and new insights from the world of the ancient Near East. TheDictionary of the Old Testament: Pentateuch is designed to be your first stop in the study and research of the Pentateuch, on which the rest of the Bible is built. Testament from 2000 BC to approximately AD 600.
politics of the periods of the Hebrew Bible and the New Testament. extensive bibliographic material for further exploration. for biblical study, exegesis, and sermon preparation. TheDictionary of New Testament Background joins the Dictionary of Jesus and the Gospels, the Dictionary of Paul and His Letters and the Dictionary of the Later New Testament and Its Developments as the fourth in a landmark series of reference works on the Bible. In a time when our knowledge of the ancient Mediterranean world has grown by leaps and bounds, this volume sets out for readers the wealth of Jewish and Greco-Roman background that should inform our reading and understanding of the New Testament and early Christianity. 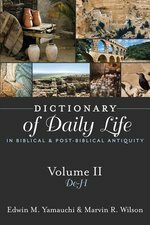 TheDictionary of New Testament Background takes full advantage of the flourishing study of the Dead Sea Scrolls and offers individual articles focused on the most important scrolls. In addition, the Dictionary encompasses the fullness of second-temple Jewish writings, whether pseudepigraphic, rabbinic, parables, proverbs, histories or inscriptions. Articles abound on aspects of Jewish life and thought, including family, purity, liturgy and messianism. The full scope of Greco-Roman culture is displayed in articles ranging across language and rhetoric, literacy and book culture, religion and cults, honor and shame, patronage and benefactors, travel and trade, intellectual movements and ideas, and ancient geographical perspectives. No other reference work presents so much in one place for students of the New Testament. 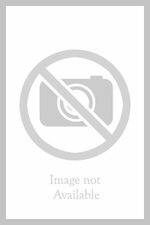 Here an entire library of scholarship is made available in summary form. 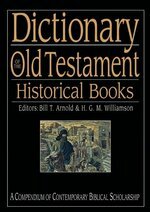 TheDictionary of New Testament Background can stand alone or work in concert with one or more of its companion volumes in the series. Written by acknowledged experts in their fields, this wealth of knowledge of the New Testament era is carefully aimed at the needs of contemporary students of the New Testament. And its full bibliographies and cross-references to other volumes in the series will make it the first book to reach for in any investigation of the New Testament in its ancient setting. This book will give Bible students and laypersons a practical and reliable source of information about the Bible in a format which is inexpensive, easy to use, and handy to carry. This dictionary has approximately 2500 entries, giving the essential facts about the most significant biblical places, personalities, and doctrines. It includes 27 black and white photos. Based on the King James Version of the Bible, with cross references from other major translations, will make it a must-have for Bible study.